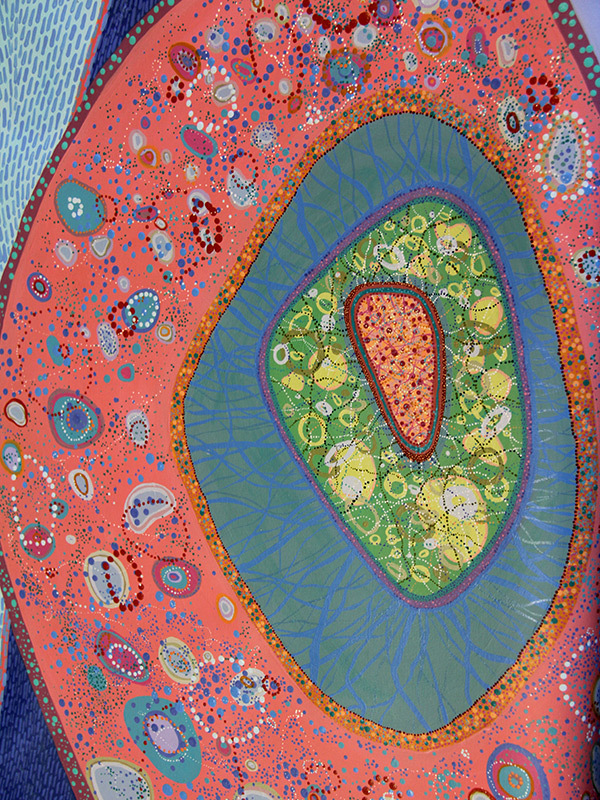 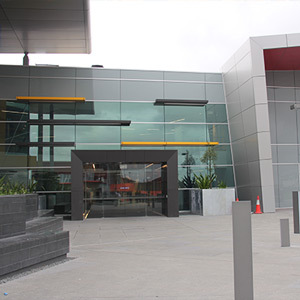 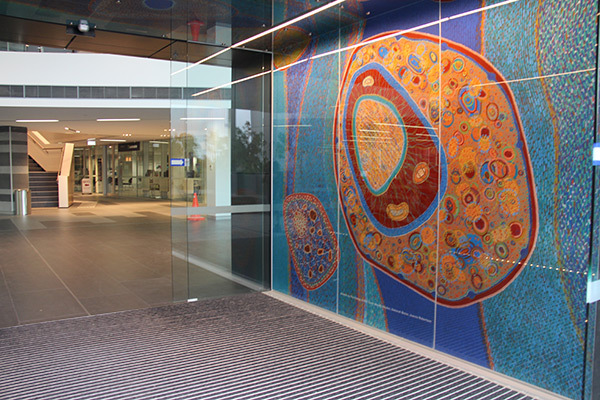 Deborah Bonar created this public art commission in collaboration with two other artists, Wendy Hayden and Joanna Robertson, for the City of Cockburn Integrated Health Facility in 2014. 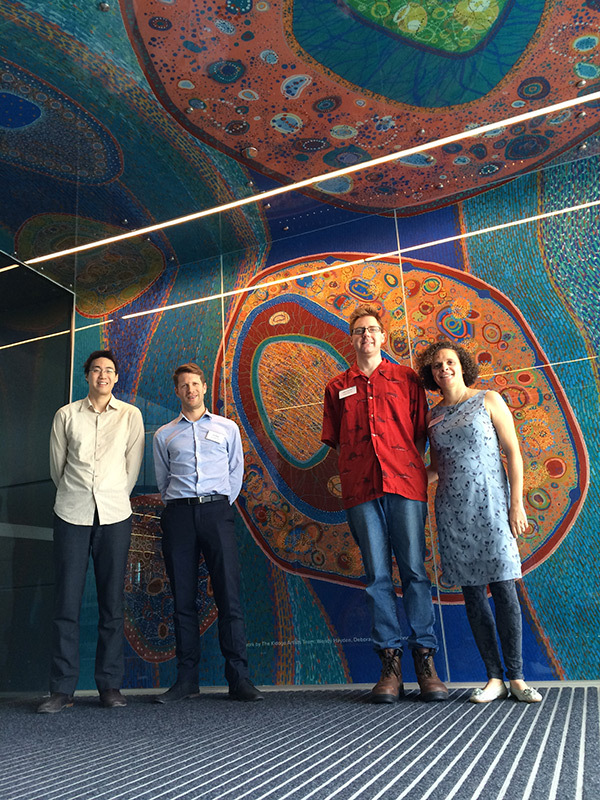 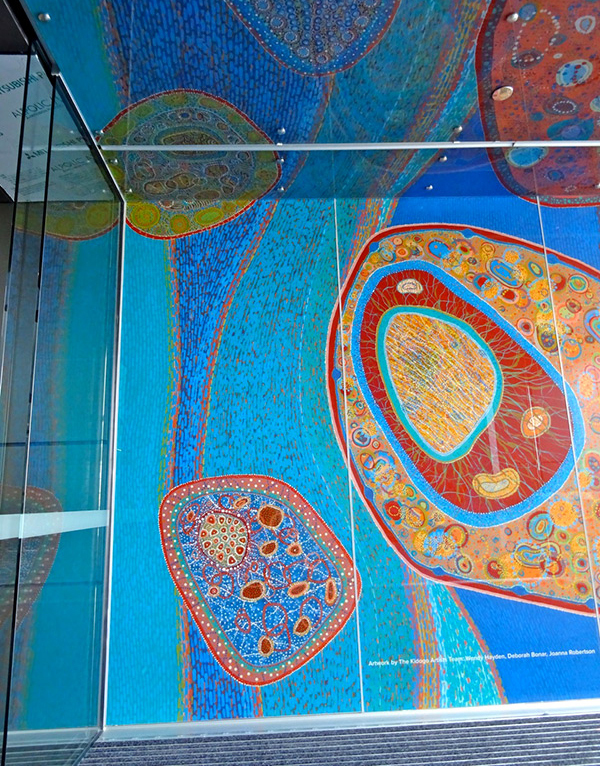 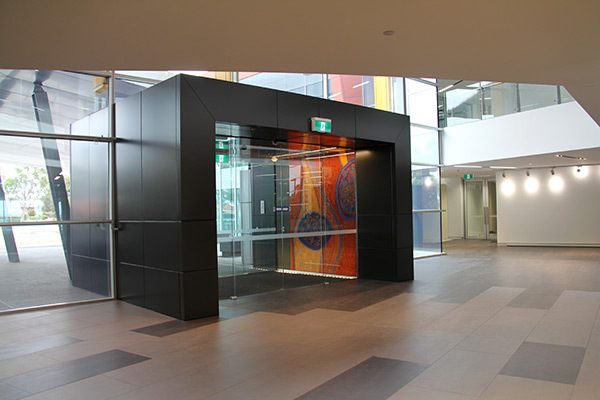 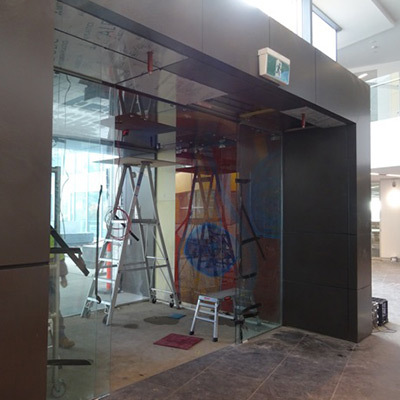 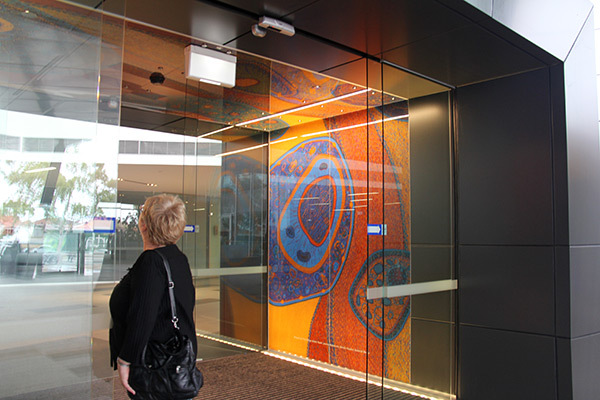 They created a large acrylic painting titled Living Waters, which was photographed in high detail and then printed onto glass panels, forming the sides and ceiling of the two airlock entranceways. 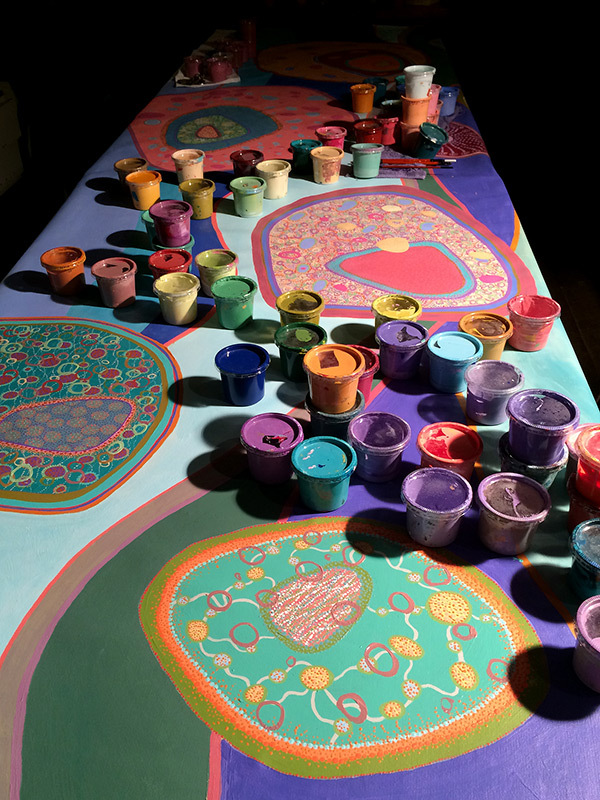 Deborah Bonar operates Scribblebark Design from her home art studio in Ballajura. 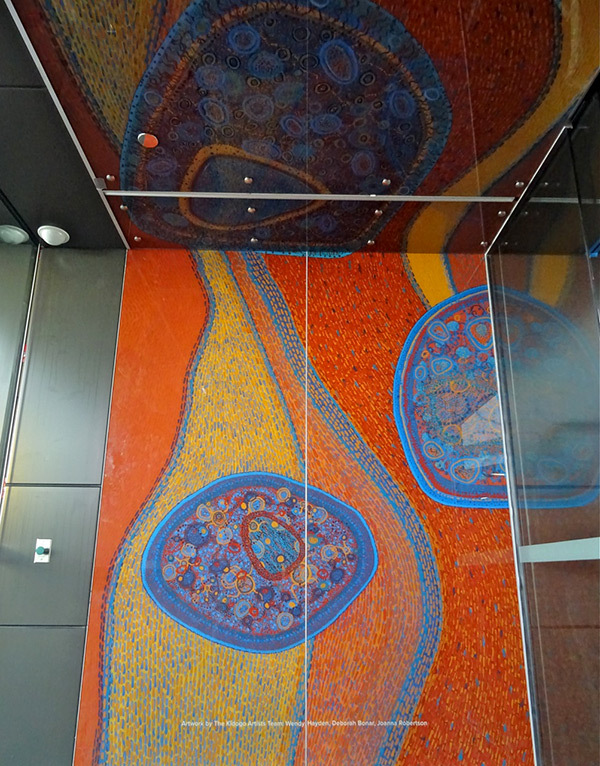 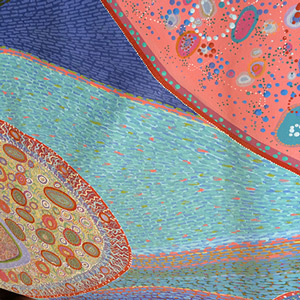 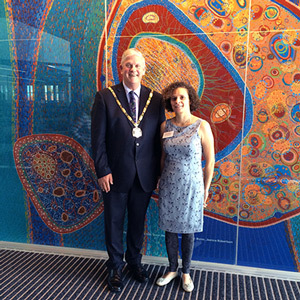 She is an award winning Perth based artist with Gija and Yamatji heritage who specialises in vibrant acrylic and ochre paintings.